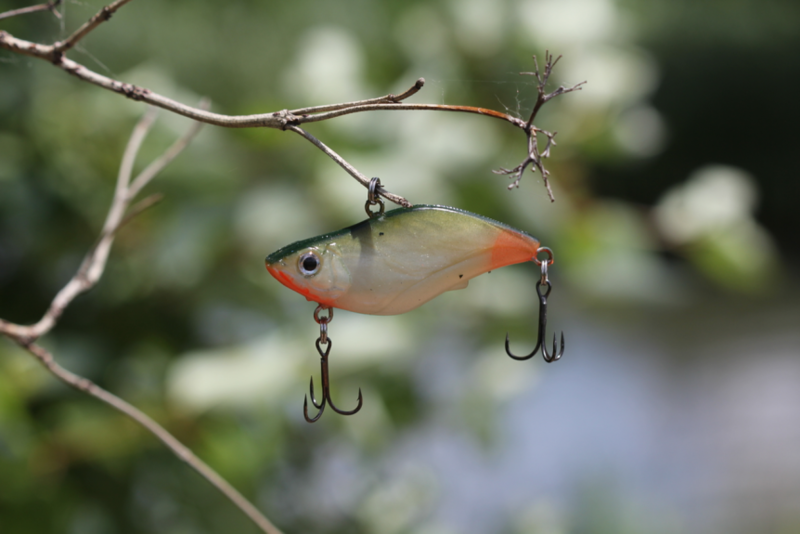 Traps, rattlebaits, vibe cranks…no matter what you call them, lipless crankbaits have as many uses as they do names. Anglers all across the country rely on lipless crankbaits, like the Sebile Action First Lipless Seeker, to locate and catch active fish. Check out the video from Lake Fork Guy below to get a crash course on lipless crankbaits and then read on to fine tune your lipless crank skills. Lipless crankbaits excel when bass relate to shallow water. Thus, Spring and Fall are the best times to toss a lipless crank. This bait’s tight wobble makes it perfect for cool water, and a lipless crank’s wheelhouse is between 45 and 60 degree water temperature. Lipless cranks, with their deep body profile, effectively mimic shad, bluegill, and crawfish, depending on what color you are tossing. Red crawfish pattern lipless cranks are a staple in most pro’s prespawn arsenal. Lipless crankbaits and grass go together like eggs and bacon, and you can bet you can catch some pigs! While it may seem counterintuitive to throw a bait with two exposed treble hooks around grass, you actually want to “hang” your bait in the vegetation. Try retrieving your bait by just barely ticking the tops of the grass. When you do feel your bait get “hung,” sharply pop your rod upwards once or twice. This oftentimes triggers bass into biting. You can also fish lipless cranks in cooler, deeper waters and use a yo-yoing technique. Lift your rodtip from a 9 o’clock to 11 o’clock position, and let your bait fall on a semi-slack line. This retrieve closely resembles a dying shad or a fleeing crawfish, and the subtle wobble followed by a fall will catch lethargic bass. If you ask 5 anglers what type of rod, reel, and line they like to fish lipless crankbaits on, you will get 5 different answers. This is simply a matter of personal preference. However, most anglers agree that a high-speed reel, (think at least 6.1:1 ratio), is necessary to get the job done. Rod and line choice are not nearly as clear-cut, however. Many anglers prefer a medium or medium heavy action rod with a fast tip, while others insist on a more moderate action rod, or even a fiberglass rod. Those who prefer a fast tip insist that a solid backbone is a must for effectively ripping lipless cranks out of grass. 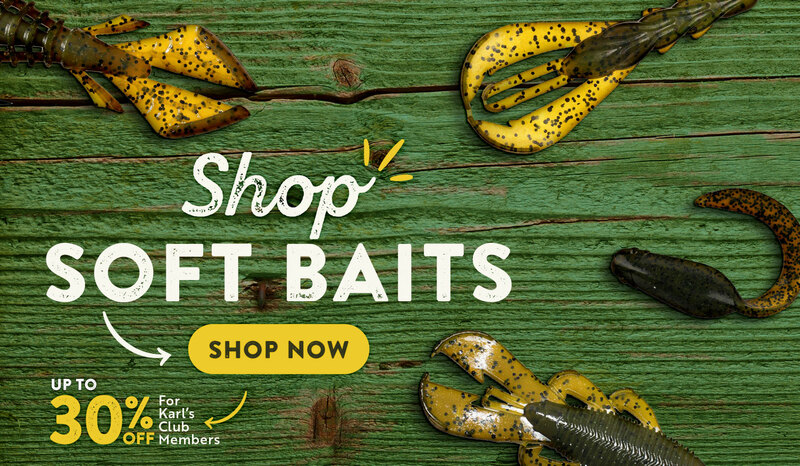 However, other anglers believe that this fast tip can lead to problems with hooksets and even make it easier for fish to “throw” the bait once they are hooked, due to the rod’s unforgiving nature. Those that prefer a more moderate rod say that the “give” in the rod helps allow the fish to inhale the bait better and also prevents bass from pulling the hooks out. There are a couple ways anglers can still have the necessary strength to fish around grass while also maintaining some level of give to hook fish and keep them hooked. If one opts for a fast tip, an angler can choose to use 15lb to 20lb monofilament line. The stretch of the monofilament helps anglers keep fish buttoned up, and the stiffness of the rod makes it easy to pop the bait loose from grass. Or, anglers can opt for a rod with a more moderate, parabolic action, and use braided line. In this case, the braid makes it easy to rip the baits loose from cover, while the rod action is forgiving. Anglers can experiment with these two strategies for this technique to see which they prefer. The lipless crankbait is one of the most versatile tools an angler can use. Try tossing the Sebile Action First Lipless Seeker the next time you are on the water, and hold on tight!